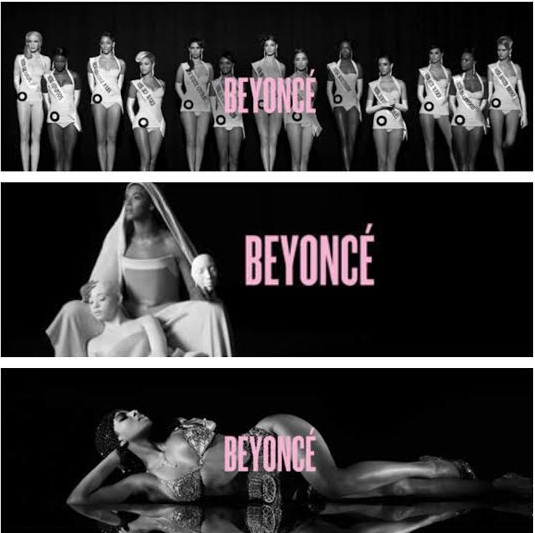 Beyonce continues to ride the wave of success with her new album. Beyonce is not only number one on the coveted Billboard 200 albums chart the day after Christmas. The Grammy and BRIT Award winning diva has three songs on the Hot 100 and is dominating digital, R&B and R&B/Hip Hop song charts. First up is her first official single, "Drunk In Love" (featuring Jay Z). Thanks in part to 61,000 copies sold, "Drunk In Love" has earned five major debuts this week. The coveted Hot 100 welcomes "Drunk In Love" at no.12, followed by the R&B and R&B Hip Hop Song charts where Beyonce is a dominating force. According to Billboard, on charts dated Dec. 27, "Drunk In Love" claims the top spot on the Billboard R&B Songs chart and no.2 on the Billboard R&B/Hip Hop Songs tally not on the strength of sales alone, but with 6.3 million first-week streams of the song. "(Drunk In Love) arrives with 58% of its Hot 100 points owed to streaming; the cut enters Streaming Songs at No. 3 with 6.3 million first-week U.S. streams. Sales comprise 28% of the song's Hot 100 points total, and airplay, 14%. It debuts on Digital Songs at No. 21 (61,000) and nears Radio Songs with 23 million in audience (up 150%)," reports Billboard. In related news, "Drunk In Love" is not Beyonce's only recording to debut on the charts this week. "XO" debuts at no.66 on the Hot 100 along with "Mine," featuring Drake, at no.99. The latter could also chart well on the R&B/Hip Hop Songs chart when it is refreshed Friday, Dec. 27. As previously reported, "Beyonce," the album, has retained the top spot on the Billboard 200 albums chart for a second week. So what? Didn't T-Pain have like a gazillion songs on the charts at once? Didn't Lil' Wayne do the same? Hell I remember J.Ho had the #1 album, single AND movie in the same week. These media outlets need to stop with 'Yonce and her foolishness. Ain't nothing spectacular with what she (and her record label planned to) do. I see they have moved passed talking about how well the album is doing in sales. How is she not at 1m yet in US? Beyonce had to go the route of Rihanna just to sell albums, when has she ever been this raunchy in lyrics/etc? I stopped being a Beyoncé fan when she came out with Ring the Alarm. I just couldn't take it anymore. Gongrats Bey these haters claim to can't stand you yet they still watch your every move!